Tesla CEO Elon Musk is currently in Hong Kong to participate in the StartmeupHK tech forum. While in the country, the CEO took some time to share a few new information about how Tesla is doing in Hong Kong and mainland China, as well as the automaker’s future plans in the country. Musk confirmed that Tesla delivered 2,221 Model S’s in Hong Kong last year, which is more than many other important markets for Tesla, such as Germany (1,582) or the Netherlands (1,891). 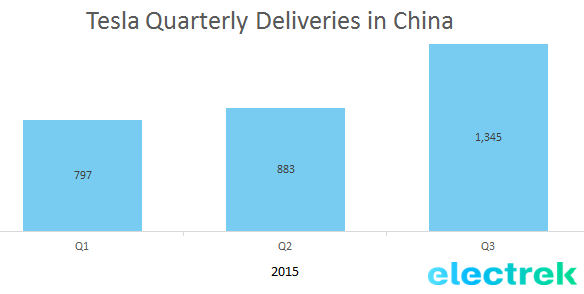 80 percent of new electric vehicle sales in Hong Kong in 2015 were from Tesla. The CEO didn’t reveal how many Model S’s were delivered in mainland China, but while speaking with engadget, he said Tesla is now doing “reasonably well” despite a slower ramp up than anticipated. He also elaborated a little on Tesla’s plans for manufacturing in China, something he first brought up during a visit last year. He confirm that Tesla plans on finding a location and a local partner by the middle of the year. A foreign company needs a local partner in order to establish a manufacture in China. Tesla needs local manufacturing capacity in China in order to avoid high import duties and have access to more EV incentives, which are often limited to domestic cars. Finally, Musk reveal that Tesla plans to bring the Model X to Hong Kong during the second half of 2016.